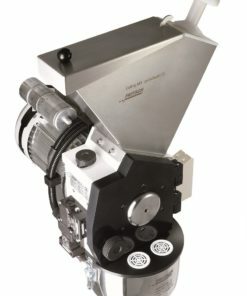 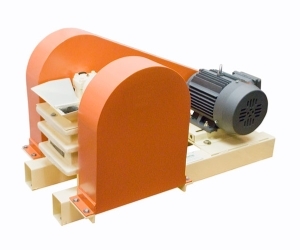 The Laboratory Jaw Crusher Pulverisette 1 is recommended for intermittent or continuous pre-crushing of coarse materials. 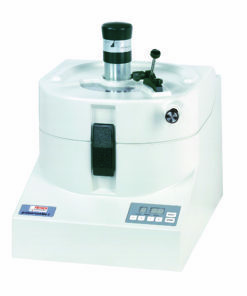 The maximum feed size is approximately 60 mm (model I) or 95 mm (model II). 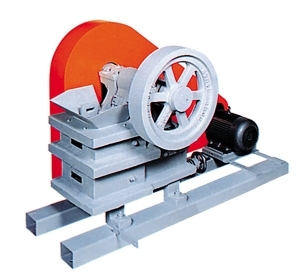 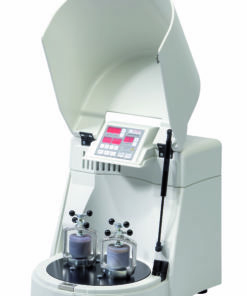 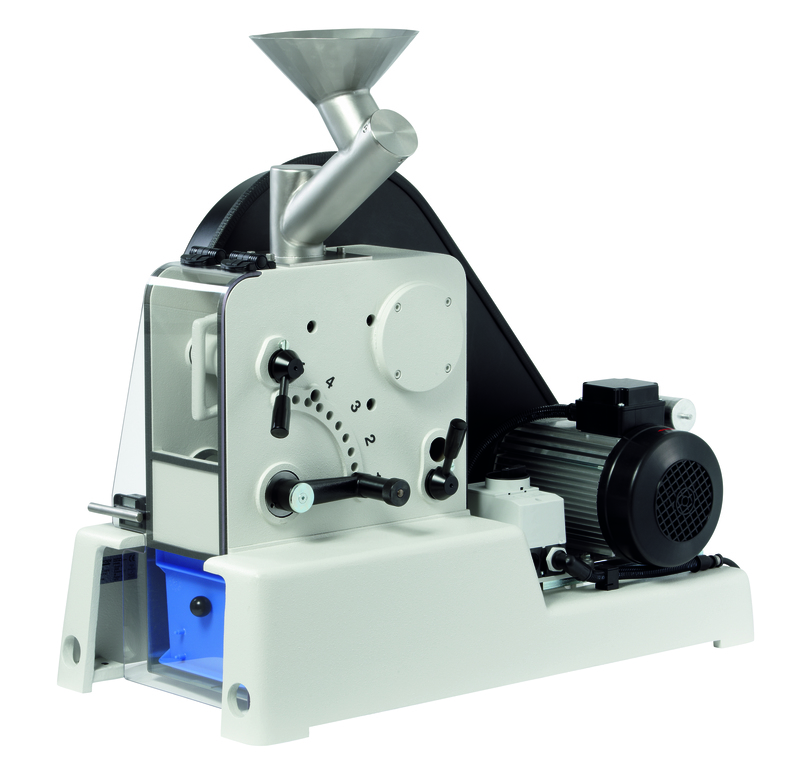 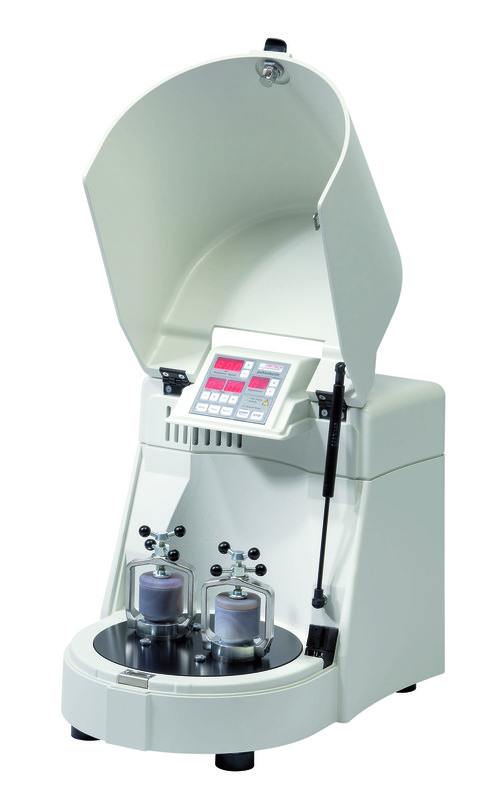 The maximum throughput is140 kg/h (model I) or 200 kg/h (model II). 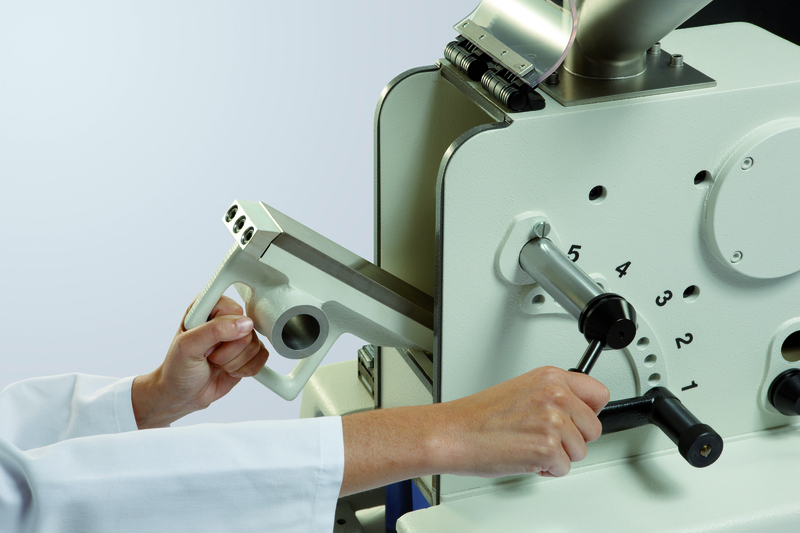 The optimum fineness depends on the gap setting which can be set from 15 to 1mm. 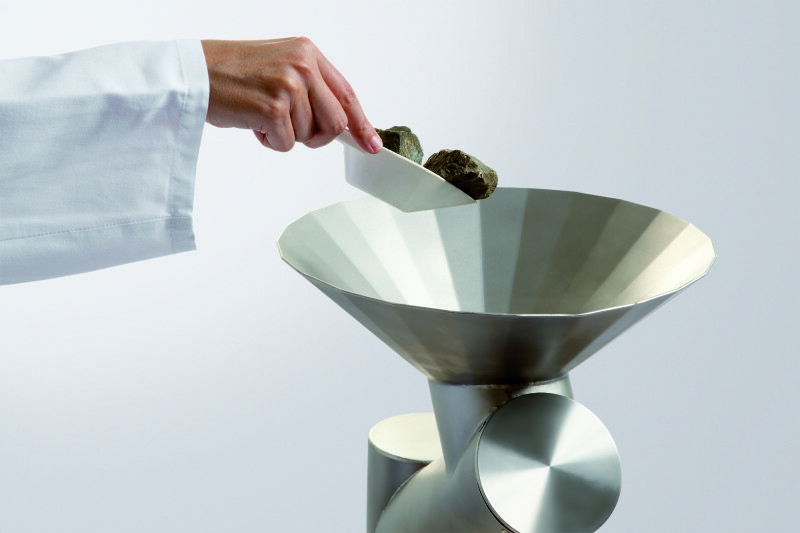 Applications: mining and metallurgy, chemistry, geology and mineralogy, glass industry, ceramics, rocks and soils. 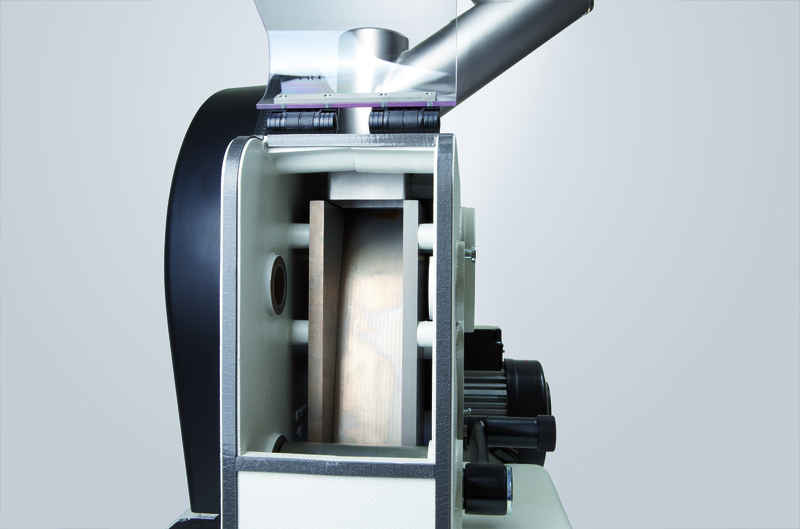 The powerful size reduction of the sample takes place in the Jaw Crusher under high pressure between one fixed and one movable crushing jaw in an enclosed grinding chamber. 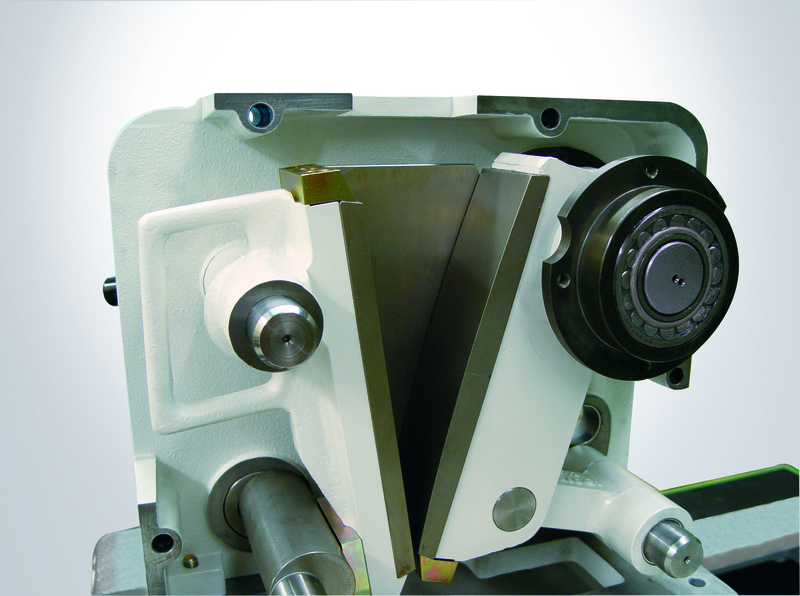 The final fineness is easily set from the outside with the 10-stage adjustable gap width between the crushing jaws. 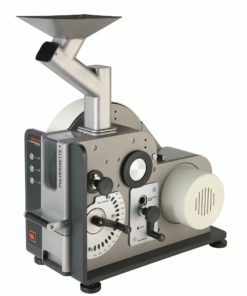 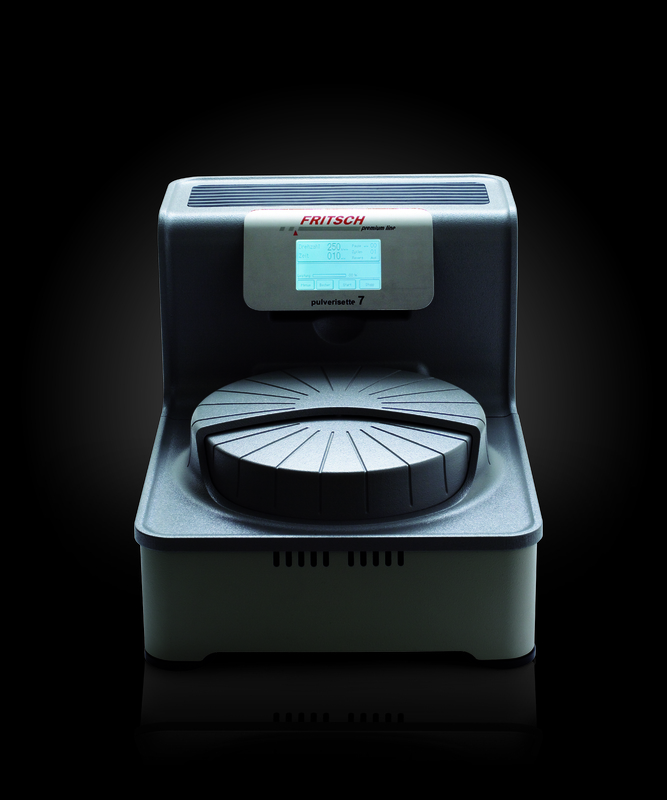 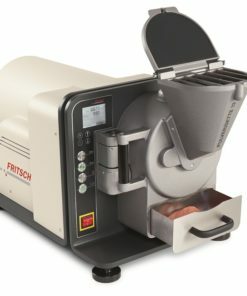 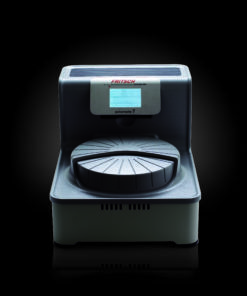 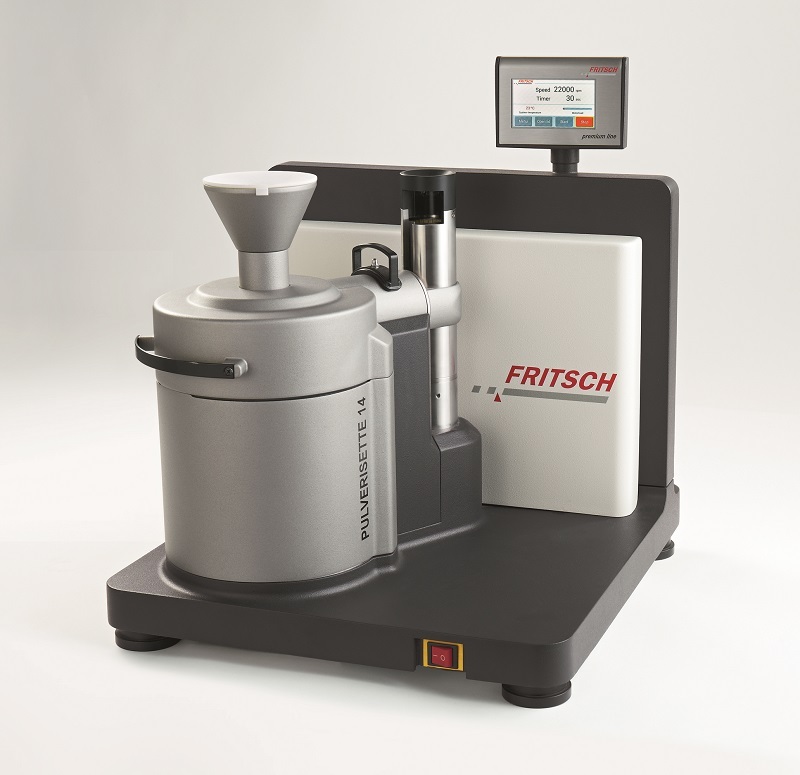 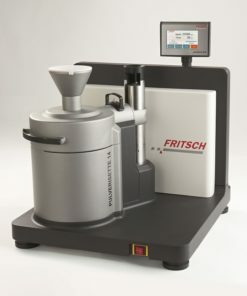 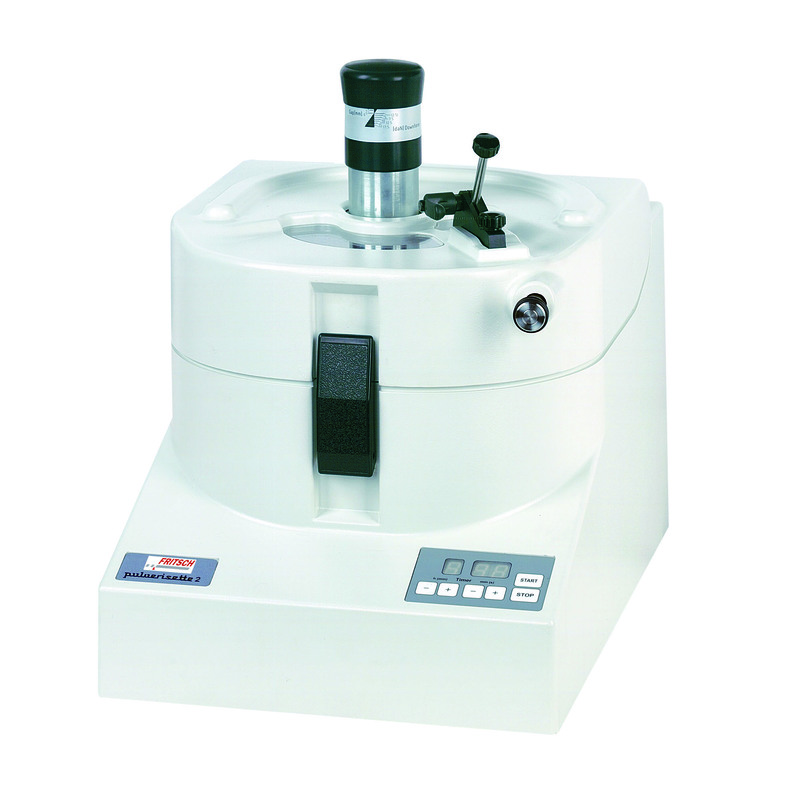 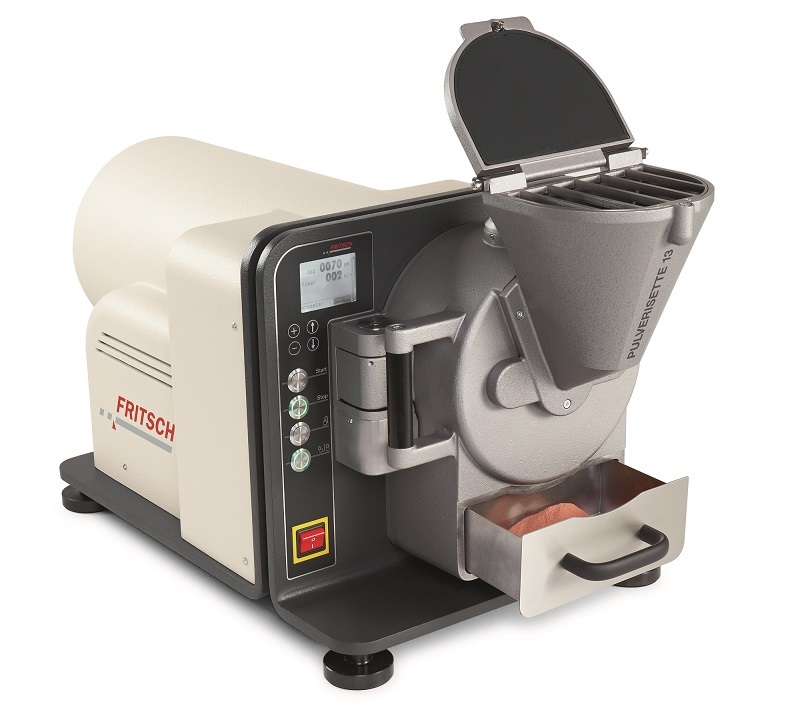 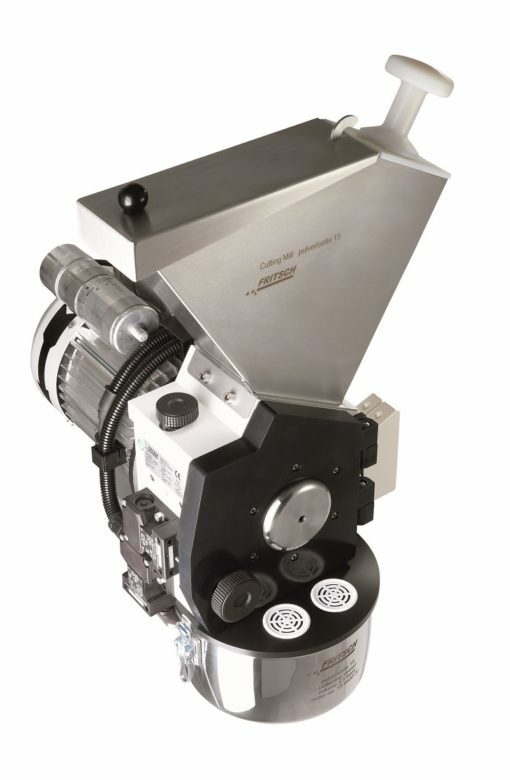 The ground sample automatically falls into a drawer for batch operation, or via a chute into a larger collection container for continuous operation, or directly into the Disc Pulveriser Pulverisette 13 for fine grinding.